We are a company that likes to spend most of our time doing and delivering. Below are core products that evolved out of doing a lot of custom service work which we still do. However, we found that there were many aspects of online business development that we were repeating because they were vitally important in the process and development of building a solid and successful ebusiness that would last. The takeaways with products and training sessions are about giving traction-able goods: We don’t spend thousands of dollars a year connecting and meeting industry colleagues at search and dev conferences for just the fun. (OK, well it is fun too) We go to get good takeaways including authority links, leading tools, industry best practices processes, core experience insights and much more. – We pass that information to you. For those doing a new business start-up or an enterprise innovation product development then these are core products that will set solid foundations in your process. This is a core overview of the elements that must be considered before investing resources into online business development. 1.Getting Started – So you are going to build an Online Business. Things to Know. 4. Domain Strategy – This is more than an ebusiness, its an investment! 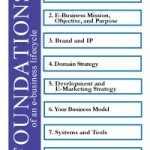 2 hours – Set up an E-Business Foundations Training now. There is much discussion about content these days. While this is a good thing it is important to remember that developing Quality content is the objective. Producing over hyped, over marketed generic watered down drivel for SEO purposes is not only a waste of time and resources, (Google is too sharp) but it can be very damaging to your brand. So, in producing good content we have found that there are several items that you should consider when producing ebusiness content. This is a core overview of the elements to be considered during process of creating online content. 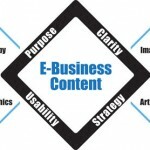 2 hours – Set up an E-Business Content Training now. Creating a website used to be quite simple. Front page was really the tool of choice many years ago. Much has advanced in this field since then. We spend time discussing your options. Most of the discussion is focused on Open Source CMS (content management systems). The open source community is here to stay and has made the online business playing field a lot more level. This is a core overview of two main CMS Systems to used by small business and large multi nationals alike. 6. Apps – A sea of applications. Plugins or extensions? 2 hours – Set up a Web Development Choice and Strategy Training now. What is a web development start-up setup? Quite simply its is website CMS (WordPress) framework, setup with a User friendly Administration panel to easily Manage and develop your Seo, Design, Themes. Who is this for? This is for new business start-ups that want to self manage there own web development. Why is design important in the online process, other than what it does to our senses. We cover several aspects of design that help us to better brand ourselves and create a successful user experience. Understanding the importance of design including its simplicity are integral to build a process of conversion for your online program. This is a core overview of the elements used during the design process. 2 hours – Set up a Design and Usability Training now. There is so much talk these days about emarketing, search and internet marketing that it can be daunting to anyone wanting to build results online using these new tools and services.. We look at core internet marketing vehicles and a few innovative, not so main stream options, as well. This session is about helping to understand choices and whether those choices are a good fit for you and you business. Do you really need 10,00o twitter followers if you are a local area contractor? We examine questions like this and put perspective together with practicability to determine effective use of time and resources. Examining the connection with traditional marketing is also core in this training. This is a core overview of the elements used during the emarketing process. 1. Content Development – Do I need a Blog? 2. Organic Search – SEO – Keywords and Google. 2 hours – Set up an E-Marketing Training now. If you are going to be investing your energy and financial resources into marketing online then analytics and reporting are a must. Like the saying goes (one version anyway) “You need to know where you are going in order to get there”. Setting up proper tracking code inside your Site and monitoring your results is one of the great features and benefits we now have available to us. In order to make better business decisions, reduce our risk and produce better outcomes we explore the options, setup and serices available for tracking and reporting your web development and emarketing efforts. This is a core overview of the main aspects of analytics and reporting. 1. Audience – Who is listening? 2. Usability – Is your Site visitor friendly? 7. Reporting – What are my options? 2 hours – Set up an Analytics & Reporting Training now. However you decide to operate your ebusiness, whether its from an enterprise office or a home office there are certain products that will be required and some needed to make your business run smoothly. To run a dynamic website with database capabilities and functionality you will need to host your site on a secure server that is configured to meet the needs of your ebusiness. Grimmster operates eMediaCloud – a network of cloud servers configured specifically for CMS and eCommerce platforms: Joomla, WordPress, Drupal and Magento. These are the the top platforms and frameworks in the web technologies industry used and proved by millions of businesses large and small. We have been operating servers for over 5 years and continually improve our systems as technologies advance. We are backed Liquid Web, Storm on Demand and 24 hour Tech support. Managing server technologies is their specialty. They manage technologies of some of the largest brands in business. We have set prices for Start-up and Small Business. Enterprise and E-Commerce have a base price with expansion based on needs. Set up Managed Web Hosting for your Business now.